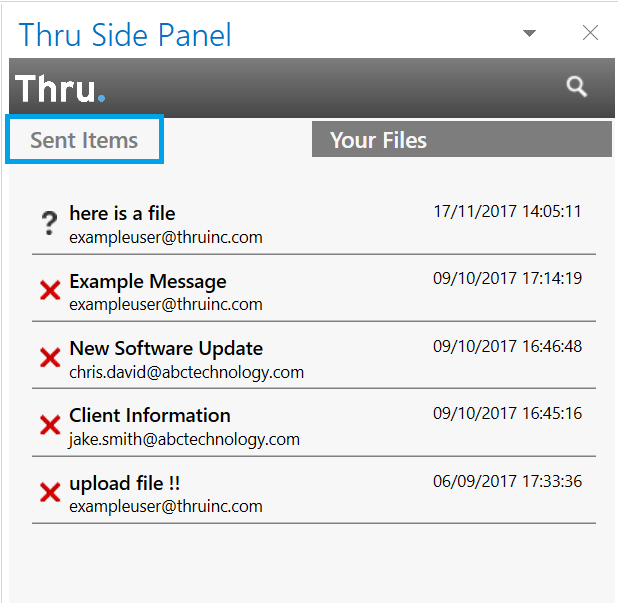 After sending files or folders using the Thru Add-In for Outlook, you can view the message details within the first tab of Thru Side Panel, Sent Items. From here users can view: the email subject line, recipient email address, date and time of the transaction, and the download status of sent content. All files and folders have been downloaded by the recipient. Files or folders have not yet been downloaded by the recipient. Files or folders are expired and can no longer be downloaded.